The Greater Siliguri Publishers’ and Booksellers’ Welfare Association will be organising the 34th North Bengal Book Fair 2016 from November 25 to December 4 at the Kanchenjunga Stadium mela ground. The fair will be inaugurated by Kavi Surkar and artist Srijat where state tourism minister Gautam Deb will be present as the chief guest. This event in Siliguri is the second biggest in West Bengal after the Kolkata book fair. Publishers from Delhi, Mumbai, Guwahati, Allahabad, Kolkata as well as from Bangladesh will be participating, informed Deb at a press meet at the Siliguri Journalists’ Club today. A total of 80 stalls will be set up at the stadium premises with Bangladesh and Delhi having two stalls each. Meanwhile, publishers from Mumbai and Allahabad will get a stall each. 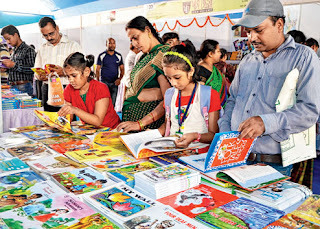 The remaining stalls will be set aside for publishers from Kolkata, Siliguri and other districts of the state. The book fair will be open for all from 2.00pm to 8.00pm for a nominal entry fee of Rs10. The organisers will also set up a Mahasweta Mancha in memory of Mahasweta Devi, the noted Bengali fiction writer. Srijato Banerjee, a popular poet among the younger Bengali generation, and Sangeet Shilpi Srikanto Acharya will be felicitated by the book fair committee on November 28. The Greater Siliguri Publishers’ and Booksellers’ Welfare Association will be organising the 34th North Bengal Book Fair 2016 from November 25 to December 4 at the Kanchenjunga Stadium mela ground.